Enter the fascinating world of Greek Mythology in this immersive gaming experience from Scientific Games. Face fearsome monsters to unlock incredible bonuses, and spot Hercules himself for the chance of winning magnificent rewards. This engaging slot offers an immersive narrative and gameplay mode whilst maintaining the traditional fruit machine format that is loved by many. To play, click now. As one of the global leaders in online casino gaming, Scientific Games are renowned for creating user-centric and innovative games. Headquartered in the capital of casino itself, the Las Vegas based company have achieved success through dedication to their core values: trusted security, creative content, operating efficiencies and innovative tech. Scientific Games maintain a focus on empowering their customers with a range of interactive gameplay experiences and a dedication to providing excellent customer service. With a combined 85 years of experience through their acquired companies, Scientific Games’ committed teams of creatives and pioneers are dedicated to producing high quality, action-packed casino games. Return of Money Mad Martians! As the game begins we catch a fleeting glimpse of the hero himself. Hercules stands tall and glorious, wearing the skin of a lion across his powerful shoulders. Look out for Hercules later in the game for a chance to win big prizes. Admire the stunning artworks of Hercules: High and Mighty as you step up to the reels adorned by golden pillars. Terrifying mythical creatures await you including a vicious many-headed snake, Cerberus the three-headed dog, and Pegasus soaring across the skies. There are impressive sound effects in this online slot machine that add to the depth of the story world. Marvel at the many ways to win in this wonderful online fruit machine. Hercules is the wild and replaces all other symbols apart from the bonus symbol. The bonus is a gleaming golden coin. 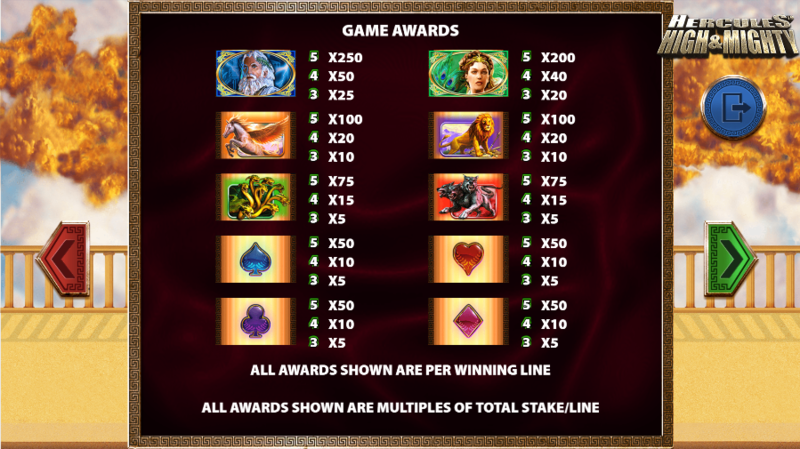 Match three bonus symbols to win eight free spins. Match four to trigger 12 free spins, and match five to receive an earth-shattering 20 free spins! Land a gigantic icon of Hercules in full view to trigger mighty reels, where the chains lift the reels and double the number of lines used! The big bet games consist of five linked spins of the reels. Why not join today? 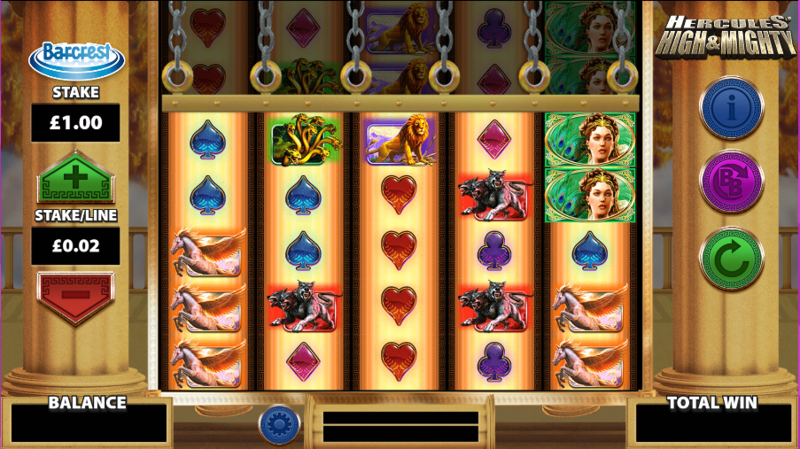 Like Hercules himself, this slot is a champion of champions, and really delivers on its immersive story world and gameplay experience. A product of Scientific Games, it is clear to see the company’s dedication to interactivity and transparency of play in this engaging online slot. Take on mythical beasts to see if you have what it takes to become the hero of Ancient Greece, and catch a glimpse of Hercules himself for the chance to leave with big rewards. Click here to view more.